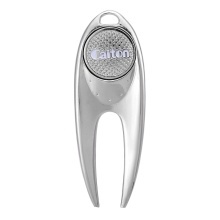 Great divot tool for golfer. Made of solid and lightweight zinc alloy. The marker can be attached on the divot tool. Ergonomic design easily fits in the palm of your hand.